Showin' my roots here... Jeff designed some great sandals that will carry him through the long festival summer! Everybody dancin'! 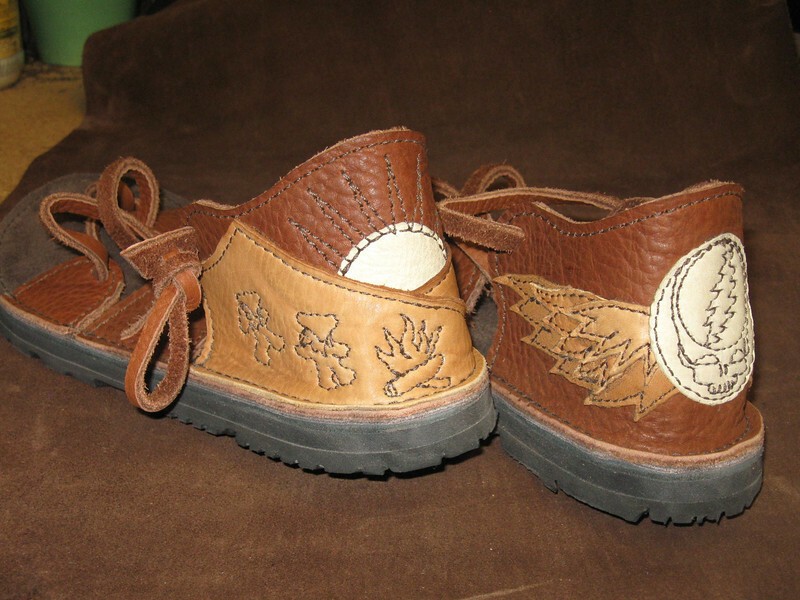 Four tab sandals, in tobacco buffalo hide, with dusk and creme Grateful Dead applique and embroidery, thin cushi and Vibram Newsole soling.